OTTAWA — Justin Faulk and Brock McGinn each had a goal and an assist as they Carolina Hurricanes won their fourth straight game, downing the Ottawa Senators 5-4 on Sunday. Justin Williams broke a 4-4 tie with a power-play goal at 7:34 of the third period for Carolina (19-17-5). One minute later, Williams nearly scored again but he was robbed with a great glove save from Andres Nilsson, who came on in relief of starter Marcus Hogberg in the second period. Jaccob Slavin and Dougie Hamilton also scored for the Hurricanes, who got a 27-save performance from Petr Mrazek. 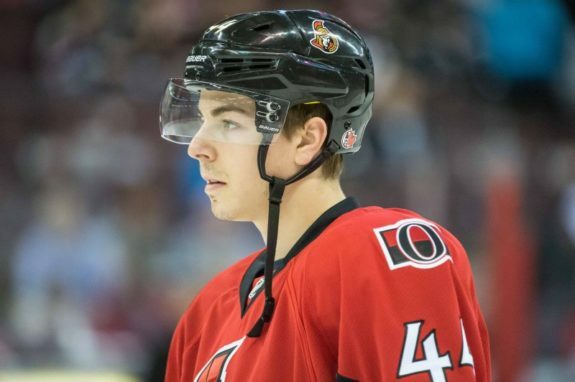 Jean-Gabriel Pageau tied the game 4-4 in his return to Ottawa’s lineup after missing the entire season to date with a torn Achilles. Rudolfs Balcers scored his first NHL goal in his second career game as the Senators (15-23-5) saw their losing skid stretch to eight games. Matt Duchene and Ryan Dzingel also scored. Hogberg started in goal for the Senators and allowed three goals on 16 shots. Nilsson turned aside 11 of the 13 shots he faced. The Hurricanes had a ferocious start to the game scoring on two of their first three shots less than five minutes into the game. Faulk opened the scoring with a power-play goal at 1:12 of the first period with a point shot that beat Hogberg. Then, at 4:28, McGinn scored a short-handed goal as he slid a backhand through Hogberg’s legs on a breakaway. That was all the scoring in the opening period although the Senators created several good opportunities but were unable to beat Mrazek. Ottawa finally did break through at 2:32 of the second period when Duchene beat Mrazek from in tight after a cross-crease pass from Bobby Ryan. The Hurricanes regained their two-goal lead and knocked Hogberg from the Ottawa goal at the same time as Slavin scored at 6:13 with a slapshot. The Senators got that one back at 12:17 on a power play as Dzingel beat Mrazek with a backhand, but at 14:54 Hamilton beat Nilsson to put the Hurricanes up 4-2. It was just the second shot Nilsson had faced. Then came the final minute fireworks as Balcers scored at 19:12 and Pageau scored eight seconds later to tie the game 4-4 heading to the third. Notes: Nick Paul and Ben Harpur were scratches for the Senators while Clark Bishop was a scratch for the Hurricanes…Sunday’s meeting was the first of three this season between the two teams. They will play in North Carolina Jan. 18 and back in Ottawa Feb. 12…The Senators open a three-game California road trip in Anaheim Wednesday. The Hurricanes are in New York Tuesday to face the Islanders.